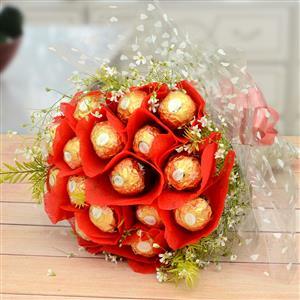 Send 16 Pcs Ferrero Rocher Bouquet With Green Fillers to Chennai. Gifts to Chennai. Send Chocolates to Chennai.